This Deluxe Microscope Set is perfect for any budding young scientist. The fun and educational Deluxe Microscope Set allows you to examine living plants and animals up close with three levels of magnification from 100x to 900x. The microscope also comes with a built in light for artificial illumination and a reflecting mirror for natural illumination. 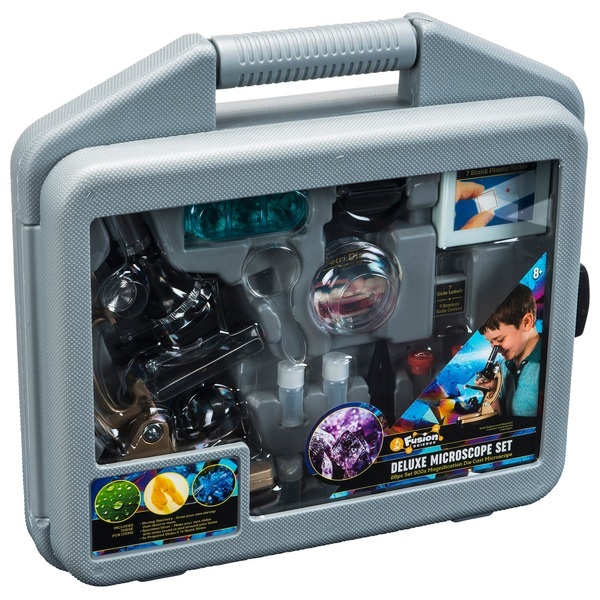 Your little one will experience hours of discovery and fun with the Deluxe Microscope Set. Comes complete in its own carry case. EU Warning: To be used under the direct supervision of an adult. Do not view sun with this telescope. Viewing the sun can cause serious eye damage.